The word natural on food, personal care products and cleaning products used to mean something. Sadly it doesn’t anymore. I have to read labels and rely on organic certifications to truly understand what’s in the products I consume and use. I found a great company that makes this process simple and transparent. They are called Green Soap Inc.
Green Soap Inc. makes all kinds of soaps of course, from body bars to hand soaps but their product list includes a wealth of personal care products for babies, mammas and even furry babies! They have the whole family covered. 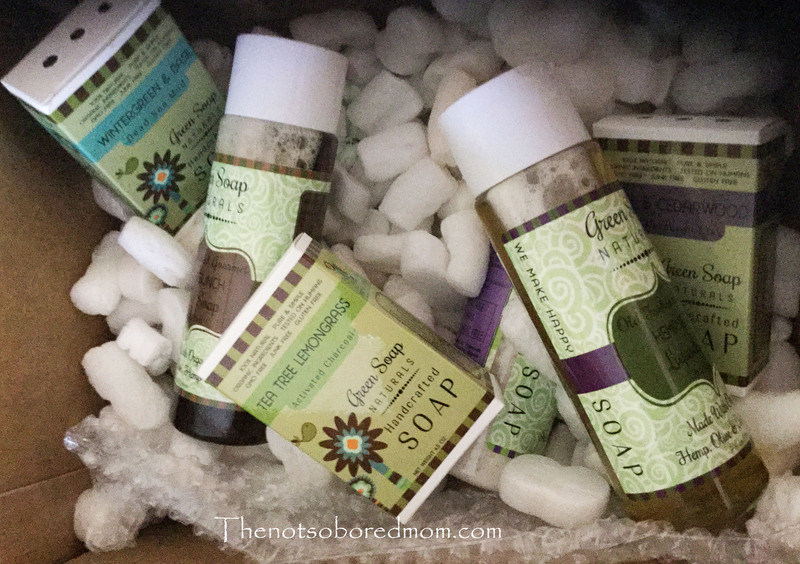 I had the pleasure to test out some of Green Soap Inc.’s Bubbly Bar Soaps and Gourmet Liquid Soaps. I could smell the fresh, natural scents as soon as I opened the box. The soaps reminded me of a fresh spring rain and the redwood forest. Clean and close to nature. When I started reading the labels I discovered, they have a simple ingredient list and included one of my favorite words on products, “organic”. The ingredient list was short on all their products and easy to read. A few of the ingredients that stood out were coconut oil, organic rosemary extract, and organic extra virgin olive oil. Many of these ingredients I have in my kitchen! Since I cook with these ingredients I felt very confident putting them on my skin. When I washed my hands with Hemp and Olive Oil Green Soap they felt soft . After sometime spent working in the ER, I am a religious hand washer and my hands are typically dry. Not with Green Soap. 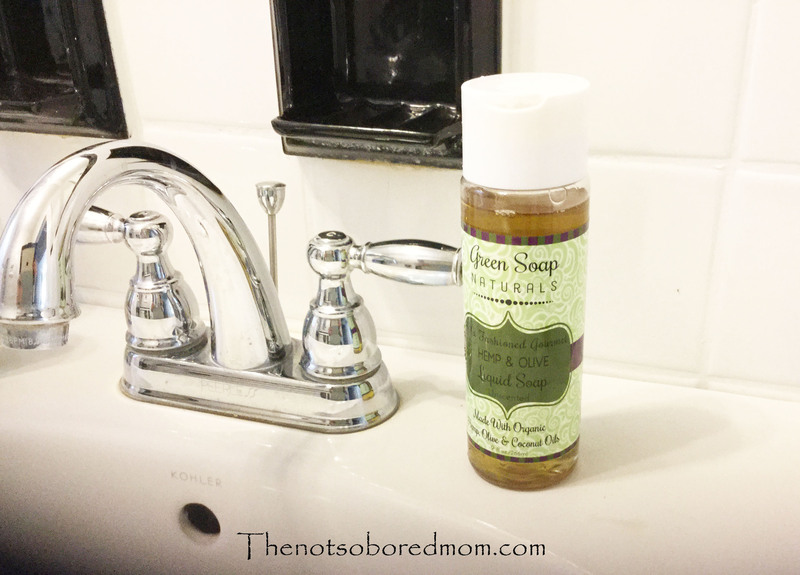 The natural oils in Green Soap kept my hands moisturized even without any lotion. Green Soap Inc’s Bubbly Bars worked amazing too. 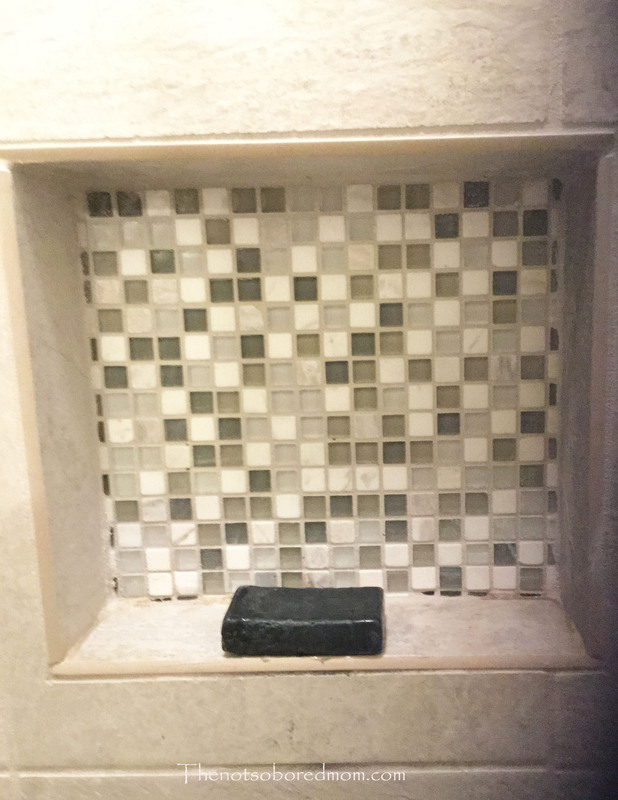 I tried the Tea Tree Lemongrass with activated charcoal in my shower and I smelled heavenly. I truly felt that I just left the spa. The Bubbly Bars have a light scent of fresh herbs, flowers and some even have scents reminiscent of my favorite bakery items. How does a Chocolate Mint bar or Pumpkin Spice sound to you? Green Soap is only tested on humans! Their products are GMO free and Gluten free for those with gluten sensitivities. They are handcrafted in the good ole USA too! Best of all I didn’t find any unnecessary junk in any of their products. They are truly the definition of natural. Green Soap Inc is exactly what it seems. It’s products are green and chemical free. I can’t wait to try the whole collection including body wash, body lotion, body oil and of course their number one selling lip balms made with organic essential oils. What would you like to try? Tell me in the comments below. Green Soap Inc is also generously giving away their Hemp and Olive Oil Liquid Soap and their Pomegranate Coconut Pucker Pack to 3 winners! Wow! GIVEAWAY TIME!!!!! Enter to win Green Soap Inc.here: http://www.rafflecopter.com/rafl/display/d69e0ad711/? You can try out Green Soap Inc today! You can order all their products here at http://www.greensoapinc.com. Disclosure: All reviewed products are given to me in part or in whole for my time to produce a review. All opinions are my own. Next postYou had me at Bacon! I love this! I have been wanting to try this so my fingers are crossed! Great post! 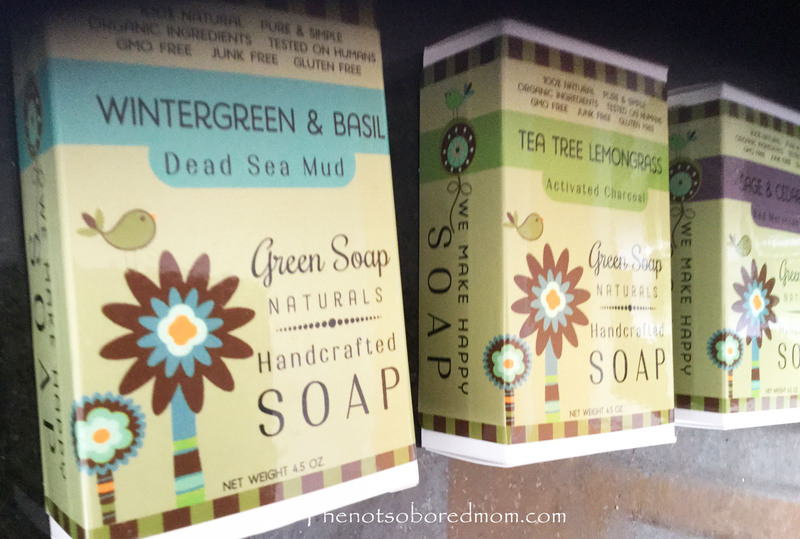 I would love to try the Wintergreen & Basil soap. The African Black Soap – Shea & Lavender would be a wise choice for my family, since we need help with acne, eczema and psoriasis. I’ve heard of Green Soap Inc. before, but never had the pleasure of trying their products. I just saw on their website that they also sell certified organic pet shampoos, soaps, and balms.. awesome! I would actually really love to try the “Don’t Bug Me Pet Balm”, would be wonderful now that the weather has finally warmed up and my pup is spending more time outside! I’m a nurse and constantly wash my hands. I’d love to try the hemp and olive oil hand soap. It’s hard to describe natural without writing a novel! Natural to me is a product made from natural ingredients. Those ingredients grown without the aid of GMO’s, fertilizers, etc. Made just the way nature intended. Apple, Oats & Honey Body Wash sounds Yummy! We don’t want any chemicals or “junk” on our daughter. I really like the selection. My husband would use it as well. I only can imagine the great scent. I like to see the healing properties of Hemp being used in products as well. The hemp chapstick is on my list! I’d like to try any of the soy candles! I would looooove to try these soaps! We are looking for natural soaps to use for the whole family!! Patchouli Mint Dead Sea Mud Charcoal Bar sounds like what i need !! I would love to have my first natural soap experience to see and feel the difference.